In a world that is frequently changing, how do you stay energized and current? 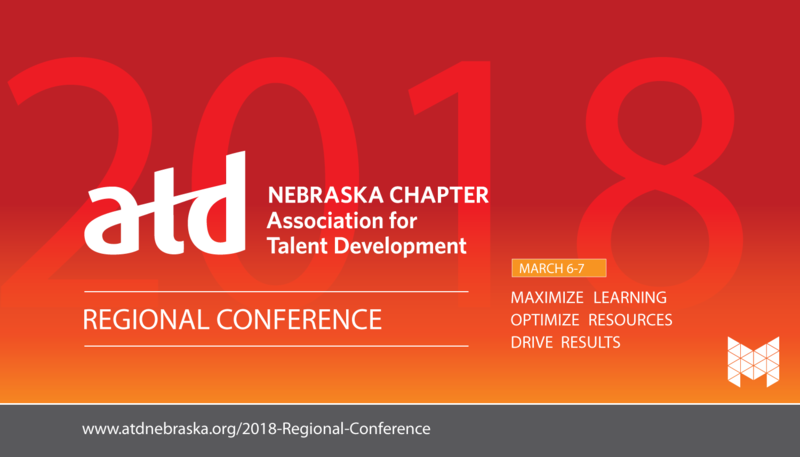 Attend the ATD Nebraska Regional Conference! Our keynote speakers and concurrent sessions have been carefully selected to bring the most value to you and your team! By attending, you'll gain useful knowledge and tools to help you maximize learning, optimize resources, and drive company results. Note: If you are a member of any ATD Chapter, please use the Member registration options. CANCELLATION POLICY: Registration is confirmed upon receipt of payment. Cancellations are not allowed, but you may send someone in your place if you are unable to attend. Call 402.850.6710 for substitutions by Feb 23, 2018.